How does the Architecture of urban space stimulate appropriation and manipulation of its fabric, symbols and language by its inhabitants, in unfamiliar, and ways otherwise overlooked? To what extent does the modern city support and suppress activities deemed to elapse the prescribed use of a space? Are these opportunities for engagement limitless? Does the modern city stimulate the cultural and physiological identity of its inhabitants? These spaces contain a predetermined use, need and time, and contain within them objects with predetermined functions. While these zero degree spaces quietly serve their purpose, it is suggested they are being appropriated beyond their expected use, and are venerated with new meaning in the process – contrasting Lefebvre’s statement – where he maintains a lack of qualitative differences in the Architecture of the modern city and the experience of it is being reduced to “banal monotony”. (Borden, 2001). The disciplines chosen are Skateboarding, Parkour and Guerilla Gardening. 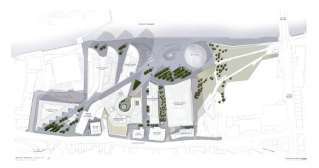 They have been chosen because they each contain within them the capacity to appropriate and re-programme spaces of prescribed function and use within the urban fabric of the modern city. They also all contain within them a distinguishing feature, for example the Skateboarder reappropriates space with the aid of a tool (the skateboard) that is “absorbed into the body” (Borden, 2001, p.1). Thus, the aims of the text are threefold. It will introduce, and thereafter explore the formal and material principles of the modern city to see how opportunities for engagement are presented. Secondly, Skateboarding, Parkour and Guerrilla Gardening are introduced. A brief historical introduction set within the context of the modern city reveals the profound relationship between space and use. Thereafter exploring the spatial-political conflicts entrenched within their practice. Finally, imagining these marginal users of space as performers and the transgressive, often illicit activities as urban performances, the text will explore how these modes of engagement can critique the modern city. Using Borden and Lefebvre’s theories and Tschumi’s ideology the text will argue the importance of such critiquing in informing the design and production of future cities. Its Tschumi’s perspective of Architecture, and of the experience of Architecture, and how he “locates transgression as a concept within Architecture” (Architectural Design, 2013, p.15) that forms the genesis of this investigative text. The concept of transgression will play an important part for it will attempt to argue its importance in the context of the modern city – not conceptually and literally to Architecture and urban space as built form that negates its self – but rather a sociologically implied importance. Transgression formed of a series of transgressive acts that are performed within the modern city that consequently, highlight distinct ways contemporary counter-cultures are identifying with the built environment. In pursuit of attaining a qualitative insight into the application of Skateboarding, Parkour and Guerrilla Gardening in the modern city the text will interpret the theoretical writings of Professor Iain Borden. An architectural historian and urban commentator. 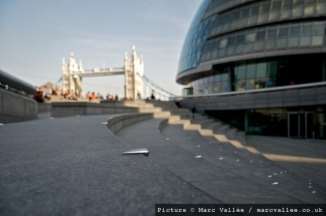 He is, at the time of writing, Professor of Architecture and Urban Culture at the Bartlett School of Architecture, UCL. His book “Skateboarding, Space and the City; Architecture and the Body” has proved invaluable in the production of this text. His theories on Zero degree Architecture, Rhythmanalysis and super architectural space – adopted from Henry Lefebvre, and adapted for understanding the urban practice of Skateboarding within the discourse of Architecture and urban space – are highly transferrable and form a theoretical framework to be used in understanding the socio-spatialÂ impacts of non-normative, ludic activities being performed in the modern city. Section 1 introduces the main topics, the objective of the study, and informs the reader of the theoretical frameworks underpinning the text. Section 2 formally introduces the three transgressive urban disciplines, their origins and historically roots them within the context of the modern City. The skateboard is introduced as a form of body-tool based engagement, Parkour; a body based engagement and finally Guerilla Gardening; a body-belief based engagement occurring with the urban realm. Section 3 provides the reader with a brief historical development of the modern City, providing a brief exploration of the spatial and material qualities of 20th century Architecture, with particular emphasis on materiality, modernist urban planning principles, and the various architectural artefacts and quotidian objects that form the fabric of the modern city. The section ultimately explores the concept of the city as a collection of macro-micro spaces of opportunity. Section 4 delves into Skateboarding, Parkour and Guerrilla Gardening’s political impacts on the modern City and its inhabitants. It explores the legislative measures, and design based tactics employed by authority to disrupt and halt activity. Thereafter, the text will explore conflict and ways in which it may be mediated/mitigated through design. Section 5 explores explicitly the dialogue between Skateboarding, Parkour, Guerrilla Gardening and urban space, with the aim of revealing each disciplines unique spatial qualities, as well as the social, and spatial phenomena that occurs by consequence of their practice. The section will focus on exploring the way in which these modes of engagement can critique urban space, urban fabric, the wider city, its Architecture and inhabitants in new and unfamiliar ways. Before we depart – Modern Architecture is a large subject that has been widely discussed and forms a large portion of contemporary architectural discourse. While it is, relatively easy, to obtain a comprehensive account of the Architecture that has pervaded the 20th century, it is, however, surprisingly more arduous to obtain an account of the public spaces that have emerged by consequence of its practice. It is far beyond the scope of this text to deliver the former; however, the text will endeavor to explore the phenomenon of human-urban interaction through the guise of a number of marginal urban cultural practices as they are enacted within the spaces between buildings. The street skateboard is many things, and serves various functions. For some, it is a form of transportation. For others, a tool that used to engage with the urban fabric of the modern city. For some it is both, and more, it is a way of life. The skateboard did not only evolve in its technological and material capacity, but also in the way it was utilised by the user. Most notable was the introduction of a manouvre called the “Ollie” which can be seen in figure 01. The ollie involves a series of explosive, perfectly timed manouvres produced with the intent of launching a Skateboarder in to the air, with the skateboard – the skateboard seemingly fixed to a skateboarders feet. (Borden, 2001, p.91) The feat which involves “a delicate relation between body, board, terrain and gravitational force” (Borden, 2001, p.91) would eventually develop into a “cornerstone of modern skateboarding” (Borden, 2001, p.91). Figure 2 shows a traceur leaping from one building to another. Guerilla gardening can best be described as “the illicit cultivation of someone else’s land” (Reynolds, 2009, p.05). The activity can be broken down into two leading constituents – guirella gardening for aethetics, and for hunger. The flora in an aethsetic context is regarded as the the guirella gardeners pallete, which is utilised in various ways to add personality and to articulate artistic expression in neglected urban space. Figure 03. More recently there are well documented cases of the activity occuring within modern western cities such as New York, Paris and London. Why then, does our three transgressive, at times illicit activities form a viable and interesting topic within Architectural discourse? The above statements suggest the activities negate the prescribed use of space and are consequently venerated with new uses, meanings and memories in the process. May this suggests new spatial possibilities, opportunities, and futures for the inhabitants of the modern city? According To Christian Norburg-Schulz – author of the book ‘Principles of Modern Architecture’ – Modern Architecture and thus the modern city which encapsulates it came into existence to help human beings feel more at home in the new world that had emerged with the arrival of the industrial revolution. This new world was the by-product of major advancements in personal mobility, the new political and economic paradigms associated with the ‘new world’ structure and the arrival of what we would call today the ‘media’. 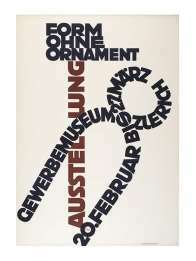 This can be seen in advertisements and literature, such as this Deutscher Werkbund – (DWB) exhibition poster (Figure 4) promoting their ‘Form die ohne ornament’ (Form without ornament) exhibition in 1924. This new architectural doctrine promoted Architecture that embodied openness and transparency, with conceptions of space that extend in all directions and instill with in it a sense of infinity. (Norberg-Schulz, 2000). Cohen and Moeller are referring to concrete. It has been largely agreed that concrete has been synonymous with the modern architectural movement. 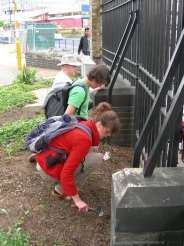 In terms of the development of our chosen transgressive activities in the modern city, the tactile material quality inherent of the modern city – be it the steel bollards obstructing vehicular access to a side street, or the granite benches of a piazza, or the in-situ re-in forced concrete floors and stairs of a regional building. Even the sculptural forms and surfaces orchestrating an Architectures external form and the pockets of green space that adorn it – they have all been exploited to great effect. Also being utilized is the spatial organization of the modern city. With the process of urbanization comes its by-product – the movement and re-distribution of people from rural to urban. This equates to a greater density of people with in urban space and Architecture/public space must accommodate this increased density. This is manifested through a principle of modernist/post-modernist design where-by notable spaces and architecture are linked by spaces designed for the movement/flow of large volumes of people. Interestingly these spaces which represent the “liminal exteriors of society” (Angel, 2014, p.178) are, according to Angel popular with traucers, the transitional spaces which “direct and steer the human subject” (Angel, 2014, p.178) using the available quotidian objects such as “Ramps, barriers and staircases” (Angel, 2014, p.178) are visual markers which influence and authorise their actions. Such fragmentation of space is what bored Borden refers to as the “object-space-object-space rhythm born from a fragmentation of objects within a homogenous space” (Borden, 2001, p.195). He maintains the spaces of the modern city that have evolved therein and importantly their potential for reappropriation can only have occurred in the ‘concrete city’ with its smooth surfaces and running spaces excaliming medievel, reinessance or early industrical cities are “crap to skate”. (Borden, 2001, p195) Borden is refereing to skateboarding in this instance, however, one can easily understand how his theory may be applied to parkour and even guirella gardening, for parkour is explosive, physical and requires the fragmentation of space, and guirella gardening gravitates to the neglected green spaces which adorn the zero-degree spaces of the modern city. In respect of the above we can begin to view the modern city as the substrate from which a variety of different modes of self expression and identification with the urban environment may transpire. This begs the question; how is the modern city liberated of its ludic duty – that is, the authoritative and cultural duty imposed upon it – and how is it reborn as the space of total opportunity? For the answer we must understand how the practitioners of each identify with and seek opportunity from space. Engaging with the city on the level of textual terrain presents the Skateboarder with a myriad of physical sensations, inscribed with in the textual qualities of space that move up through the skateboard and is felt by the skateboarder, as well as heard. Gurella gardening is a different beast all together. While parkour and skateboarding both rely on and engage heavily with the textual fabric of the city, guirella gardening is more selective of it’s environemnt, for ovbious reasons. Tschumi initially implies that boundaries set by institutional orders, laws and codes must be transgressed if a new definition of Architecture and its associated meanings are to be developed. Thereafter he argues the importance of movement – the activation of bodies in space – to define Architecture. However, how does movement, action and their disjunctions define Architecture, and why are they important, and who are they important to? The collective? The individual? The City? Architects and planners? It is beyond the scope of the text to fully answer such questions, however, a critical analysis of the spatial phenomena and politics concerning skateboarding, parkour and guerilla Gardening is conducted which forms a basis for further research. This eventually leads to legislitave powers being drawn up, for example, legislature such as “provisions in â€-riot acts’, the use of â€-summary offences’ and restrictions on freedom of association and assembly in a public place” (Rawlinson & Guaralda, 2011, p.20) which aids in the restriction of activities which are deemend extraordinary or contradicttory to a spaces’ prescribed use. 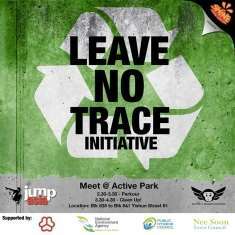 Julie Angel believes this level of legislation against Parkour, for example, is due to the nature of the activity, she suggests “Private corporations fear the risk of liability to their organsiation” (Angel, 2014, p.188) which is understandable. 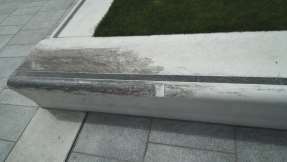 The same can be said for skateboarding, both activities involve mass – bodies, objects and both, utilised in unison – operating at high velocities, and in close proximity to other users of the same urban space. Skateboarding and Parkour are similar in their spatial politics, but what of Guirella Gardening? What are these spatial tactics and what other tactics are employed to restrict one form of use over another? Figure 5 illustrates a plan of the City Hall complex in London, containing the City Hall building designed by Foster & Partners. Adjacent to the building is The ‘Scoop’, an 800 seat external amphitheater designed by Townshend Landscape Architects. The ‘Scoop’ forms an interesting case study as it exemplifies the power struggle relations between space and non-prescribed use and reveals typical modes of designed suppression. The polished steel knurls that adorn the external granite forms, as shown in Figure 6 are located to restrict the frictional, horizontal movement of metal objects, such as skateboard axles (trucks). Figure 7 exemplifies the signage utilised by authority to forbid and criminalise non-normative activity. 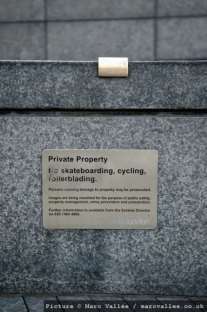 Interestingly, rollerblading as well as cycling – a generally accepted form of inner-city transportation is legislated against in this instance. The political and design based tactics restricting urban activities like skateboarding, rollerblading and ‘BMXing’ are not applicable with guerilla gardening. No examples of design-based tactics targeting gardeners explicitly have been found within academic literature. A review of current literature reveals interesting ways in which the three transgressive activities mediate conflict within the modern city. Skateboarders and traucers inevitably mark and scuff the surfaces they use to perform on, marks left by the skateboarders utherene wheels on the ground, damaged ledges from an accumulation of contact (Figure 8) and trainer marks are but a few examples worth noting. Whilst it’s understood skateboarders avoid conflict through clever use of temporal rythms, there’s no evidence within literature to suggest they take responsibility for the damage they inflict, as such one can assume they’re indifferent. The same cannot be said for Parkour, however, with Angle suggesting traucers go to great lengths to make their relationship with the environemnt “a positive one” (Angel, 2014,p, 182) The residual build up of material that can make space look untidy has been “brought into question” (Angel, 2014, p.182) within the parkour community. "Functions of Urban Space in Architecture." UKEssays.com. 11 2018. All Answers Ltd. 04 2019 <https://www.ukessays.com/essays/architecture/functions-urban-space-architecture-5343.php?vref=1>. "Functions of Urban Space in Architecture." All Answers Ltd. ukessays.com, November 2018. Web. 25 April 2019. <https://www.ukessays.com/essays/architecture/functions-urban-space-architecture-5343.php?vref=1>. UKEssays. November 2018. Functions of Urban Space in Architecture. [online]. Available from: https://www.ukessays.com/essays/architecture/functions-urban-space-architecture-5343.php?vref=1 [Accessed 25 April 2019]. UKEssays. Functions of Urban Space in Architecture [Internet]. November 2018. [Accessed 25 April 2019]; Available from: https://www.ukessays.com/essays/architecture/functions-urban-space-architecture-5343.php?vref=1.